Kirstiekins Blogs: I'm going to be a tree! I'm going to be a tree! Dying has always terrified me. The thought of ceasing to exist and being forgotten is something that looms over me on a daily basis. It's not death that scares me, he actually seems like a cool guy, we would probably get on quite well; it's what comes after death. We have a pretty hard time describing the meaning of life, so with no clear meaning of that, how on earth are we supposed to prepare ourselves for what comes after. I know I'm a little young to be thinking about death, but considering we're only ever going to get older, there isn't really a point on holing back, is there? Over the years, a few people have asked me what I want to happen to me when I die, and considering the choices are 'stuffed in a box and buried underground,' or 'stuffed in a box and burnt in an oven' I chose neither. Instead I chose to live forever (which is actually the reason why I have an infinity tattoo) and whilst this was just a distraction from thinking about dying, I knew that I eventually had to make a decision about what I wanted to do with myself, once I kicked the bucket. As much as I want to live forever, short of becoming a vampire, there is nothing I can do to make that happen. Or at least that was the case a few weeks ago. I was scrolling through the internet the other day, as usual I was procrastinating/avoiding doing an essay I should have done at weeks ago, when I discovered urnabios.com. Within seconds of reading it, I had decided that this was the perfect answer to my problem, I could decide what I want to do when I eventually die, and live forever. It is a genius idea. You die, and are then cremated. You then have your ashes mixed in with the soil in a biodegradable urn. 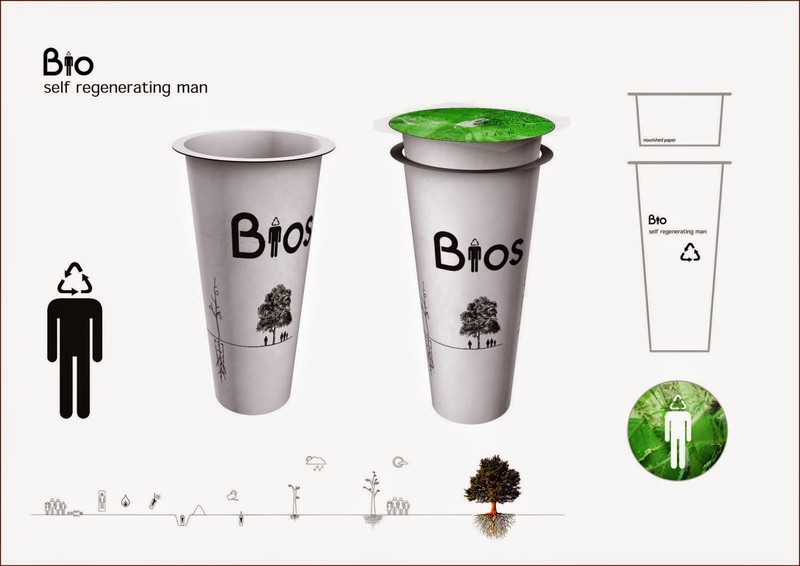 Finally, a seed of your choice is put into the urn and sent to the person who ordered it, where they then plant it, and you can grow into a really tall tree. You can choose between being a Pine, Gingko, Maple, Oak, Ash and Beech. (I think I' would choose Oak) And it only costs €75. They ship worldwide too, so you can pretty much be planted anywhere in the entire world. I think this is a brilliant idea, and I'm so glad that I found it. Plus it's a lot better for the environment. Filling the ground with tree's rather than dead bodies. Tree's are pretty much infinite forms of life. Unless it falls down, develops a weird tree disease, or someone comes along and chops it down, there is a really good chance at that tree for living hundreds of years. There is a church by house, that is in the doomsday book, and the entry describes the church with a massive yew tree next to it. That book was written in 1086, it is now 2014 and that tree is still standing. Considering the size of it when the book was written... that tree is at least 1000 years old. I realised how old that tree was back when I was in primary school, and since then tree's have always fascinated me, and now I can finally be one. Not any time soon, just to clarify; I have a good 80 years left in me at the moment. At least this way, when there is no one left alive who remembers who I am, my tree will still be there, stretching across the horizon with birds nests in my arms, and acorns in my hair.